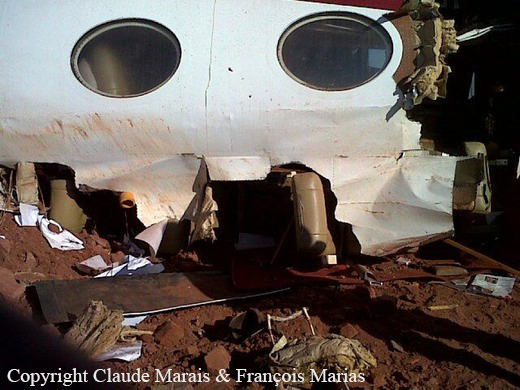 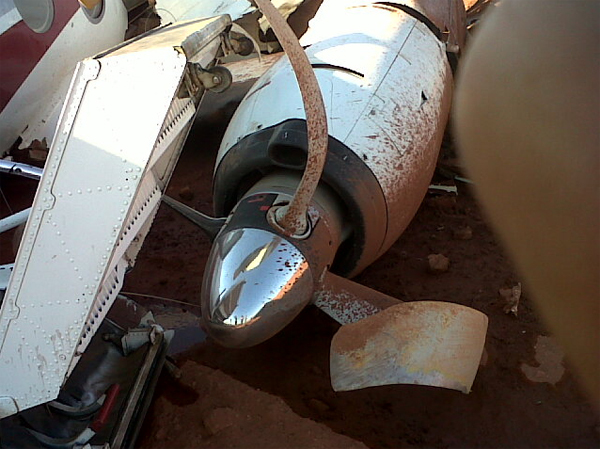 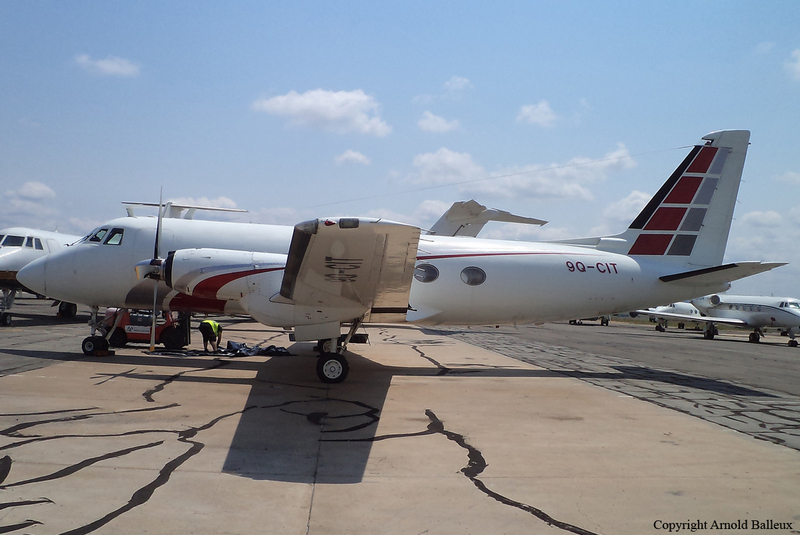 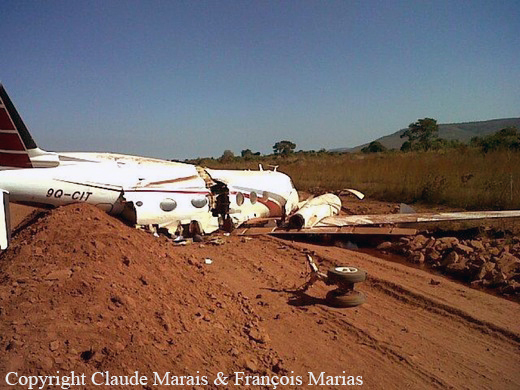 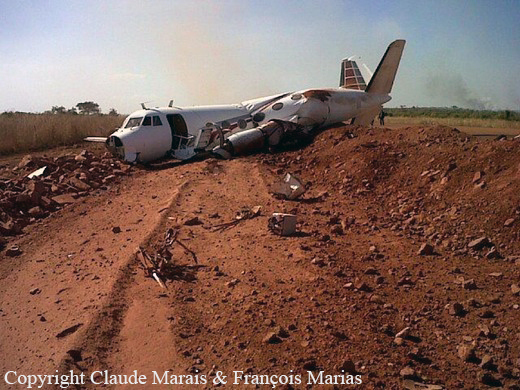 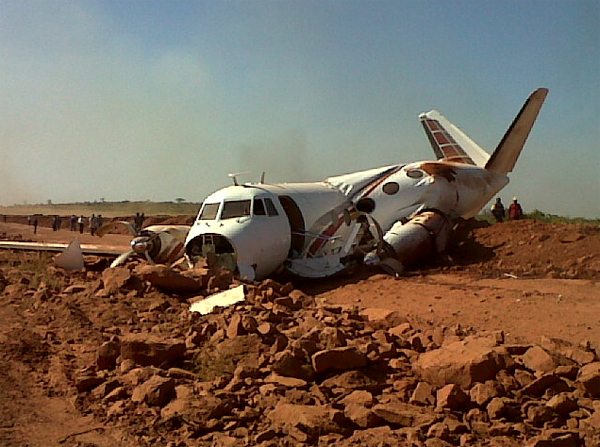 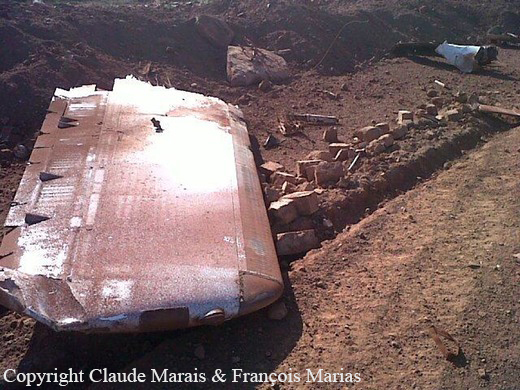 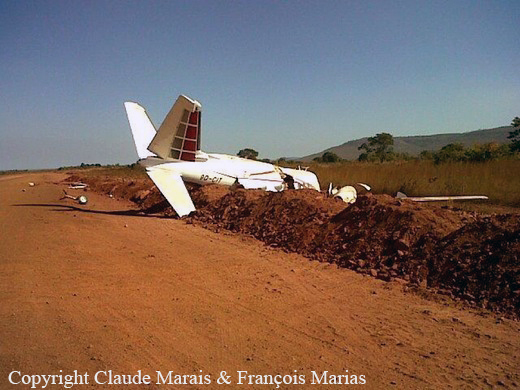 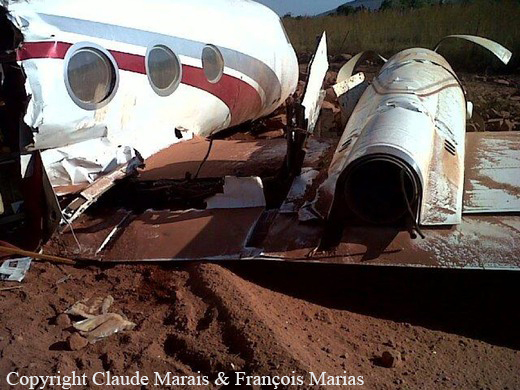 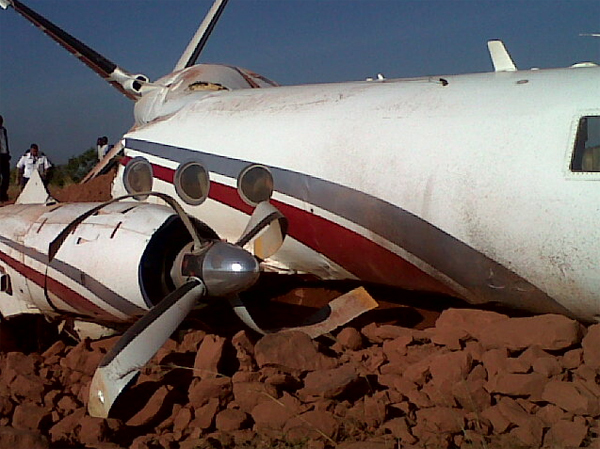 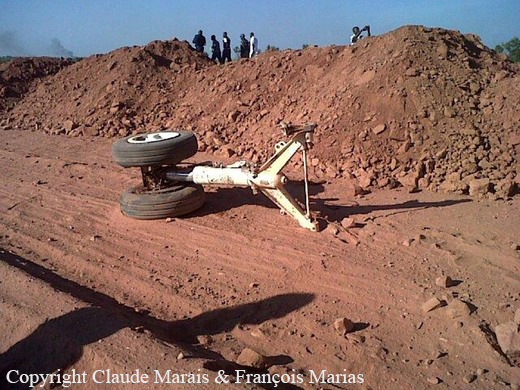 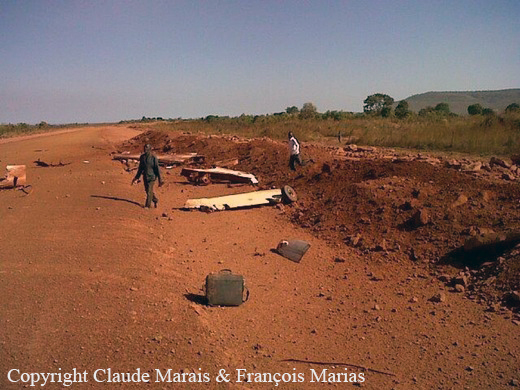 Following an uneventful flight from Lubumbashi-Lueno Airport, crew made a steep approach and a hard landing. 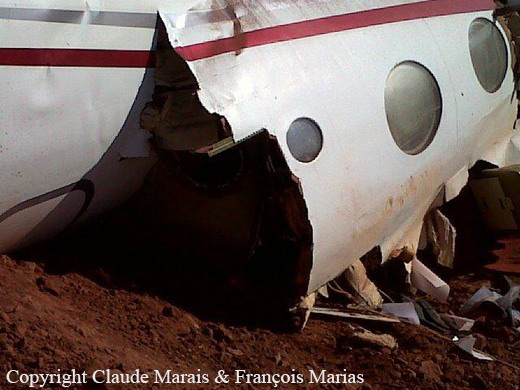 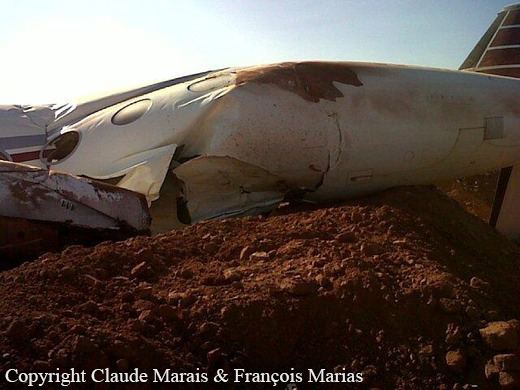 Aircraft bounced and climbed to a height of 20 feet, landed again and went out of control. 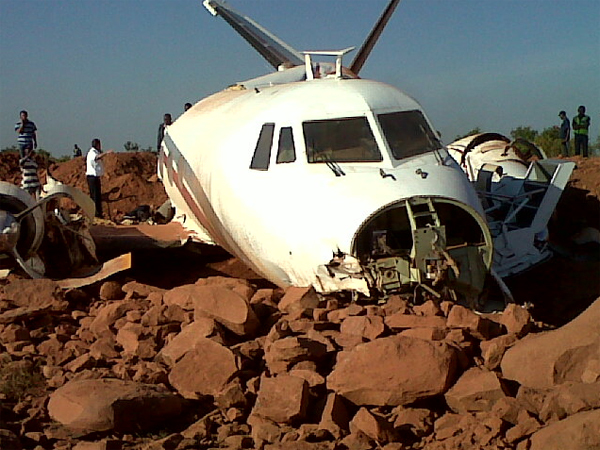 It veered off runway to the left, hit a rocky embankment and lost its nose gear before coming to rest, broken in several pieces. 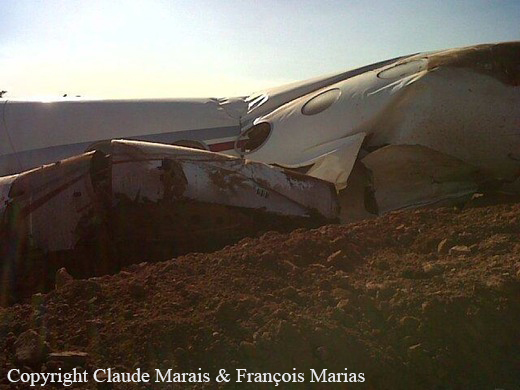 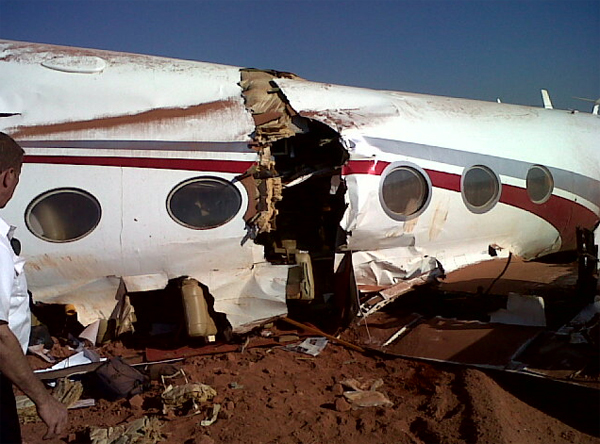 All five occupants escaped uninjured while the airplane was destroyed. 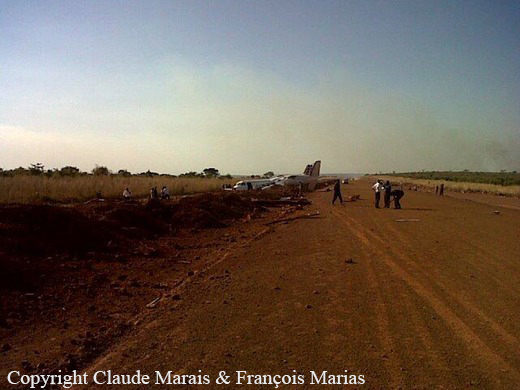 According to Congolese reports, it appears that crew made a sharp turn late on final to join the runway and the angle of descent was excessive during the last segment. 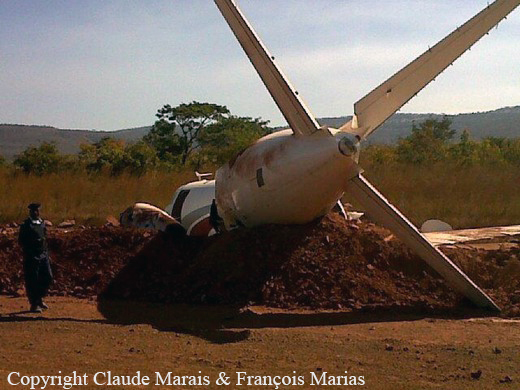 Aircraft landed hard and bounced before becoming out of control.